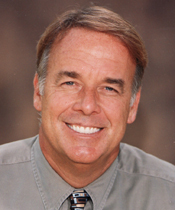 Teeth Cleaning in Santa Barbara — Dentist in Santa Barbara, CA | Dr. Mark T. Weiser D.D.S. Teeth cleaning, done twice a year, is highly recommended as part of your oral care regimen whether you have signs of dental problems or not. Whether you are interested in basic teeth cleaning services or are interested in whiter teeth, Dr. Mark T. Weiser, DDS in Santa Barbara can help. In addition to providing cosmetic dentistry, we also offer a variety of general dentistry services including teeth cleaning. A clean mouth can help minimize stains, minimize tooth decay, can help prevent halitosis, and can help you avoid periodontal problems, too. In addition to regular teeth cleanings, we can also offer state of the art therapies, lasers, and home care products that help you put your best smile forward. "We approach Teeth Cleaning differently than most offices. We use ultrasound and oxygen/ozone water and even sometimes lasers to not just clean but disinfect your mouth. This approach is also much better for those suffering from bleeding gums or halitosis"
Do you have discolored teeth from smoking, drinking wine, drinking coffee, or another reason? Do you have embarrassing tetracycline stains that take away your confidence? Are you looking to dramatically whiten your smile? Talk to us about teeth cleaning and whitening options available in our Santa Barbara dental office. A beautiful smile brings confidence and can have a positive impact in all areas of your life (personal, romantic, professional). Talk to us today about teeth cleaning and / or teeth whitening. Make an appointment at our Santa Barbara, CA dental office for teeth cleaning, whitening, general or cosmetic dentistry options that can really give you something to smile about. Call (805) 899-3600 for a consultation.